But first I want to tell you that this has been the quietest Thanksgiving holiday ever in our household. We are celebrating later today because my older daughter who lives here had to work yesterday and our younger girlie is with her fiance visiting family in California. It’s eery and quiet, especially considering how I used to host huge family dinners with extended family and friends. We’ve also been dealing daily with the downslide of my father-in-law who is in hospice care and had yet another stroke. It’s been almost 3 years now since we brought him here to Miami to care for him and we are just amazed that he’s still hanging in there. We have learned so much from this journey and I’ll write about it in more depth soon and what I’ve learning about dealing with dimentia. On weeks like these I am taking a few cooking shortcuts. Yes, I’ll be roasting our turkey dinner today and making my “famous” (as in…within the family:-) dressing. I used to watch my dad prepare the turkey and make the dressing/stuffing as a kid growing up and I think that he taught me to be an instinctual chef. 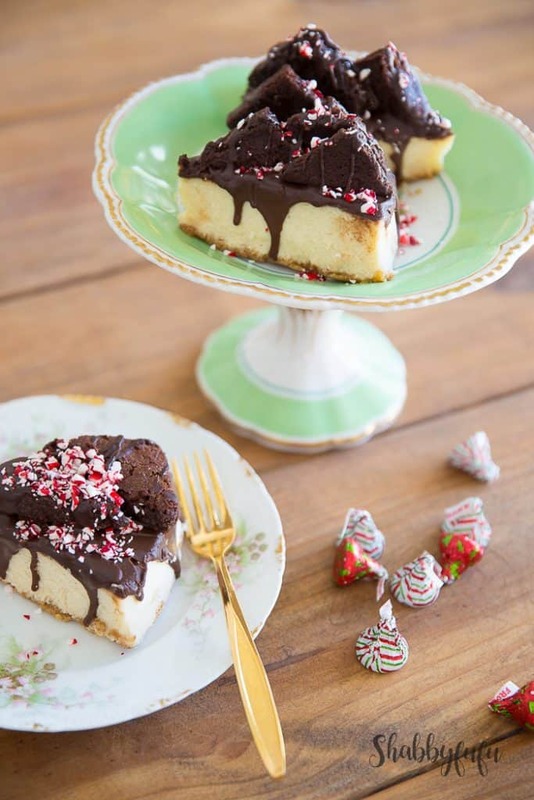 My shortcut for our meal today is this beautiful CHEESCAKE WITH BROWNIE TOPPING. Doesn’t it look too good to eat? 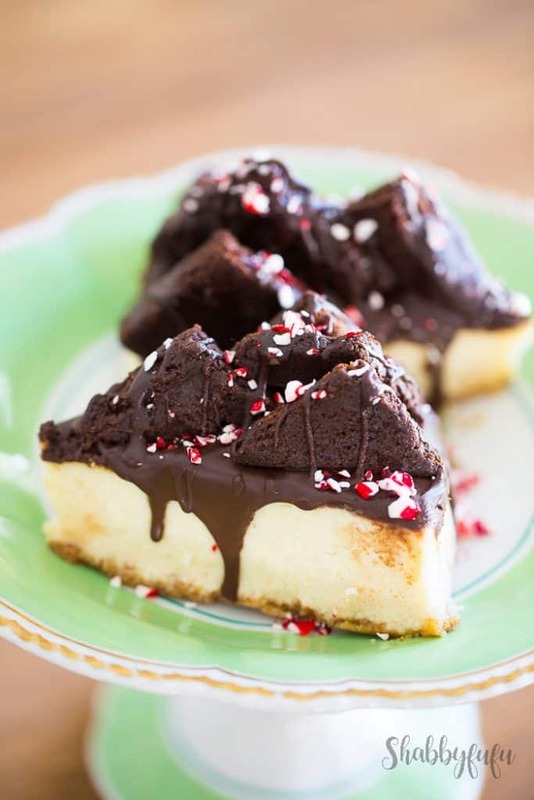 The CHEESCAKE with GANACHE and the chunks of BROWNIE and the PEPPERMINT CHIPS. I can’t wait and may eat dessert first! 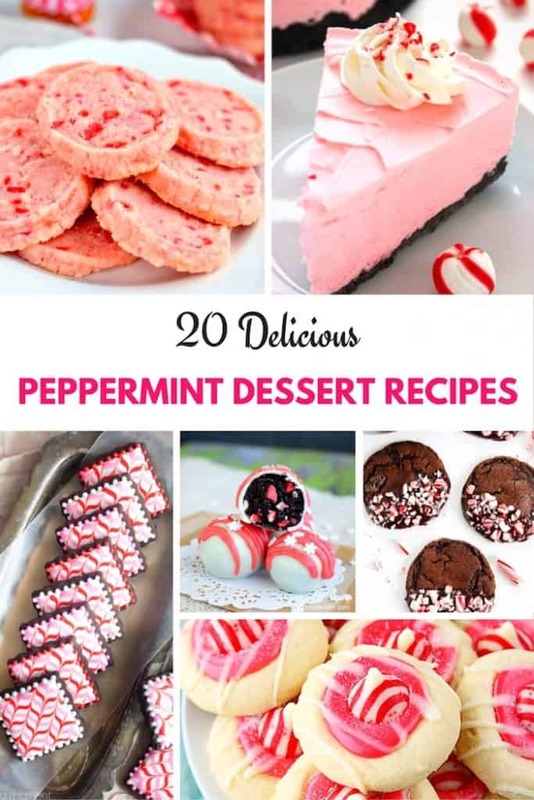 I’m not gonna lie…it’s straight from the baker’s case at WHOLE FOODS and all that I did was to customize it with PEPPERMINT that my family loves. 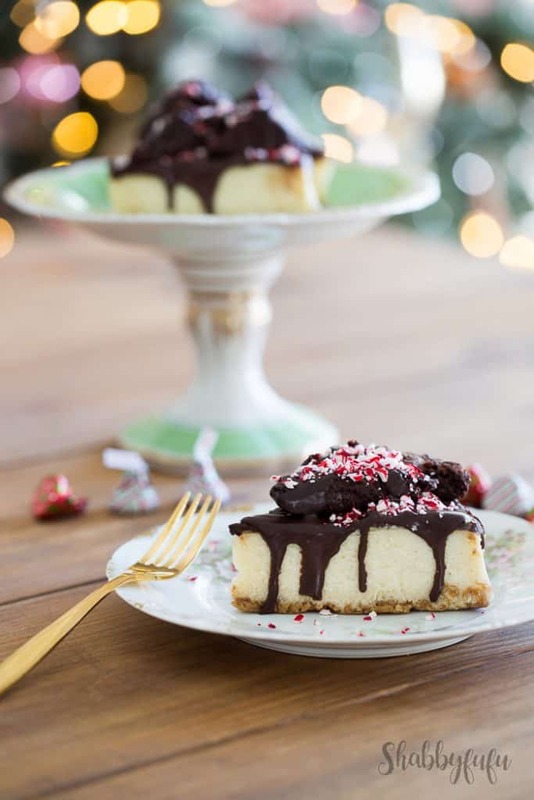 So for those seeking some recipe inspiration for the remainder of the season, I have gathered up some “real” recipes for you today!